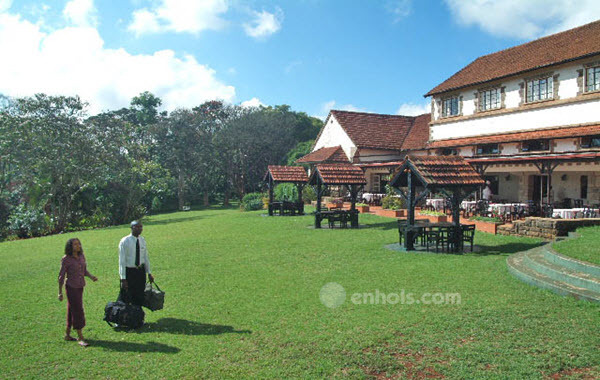 Nyeri hotels & lodges offer different levels of accommodation and within different budgets. If you are transiting through Nyeri and in search for a bed& breakfast hotel or a getaway weekend with family or friends there are plenty of hotels to choose from. 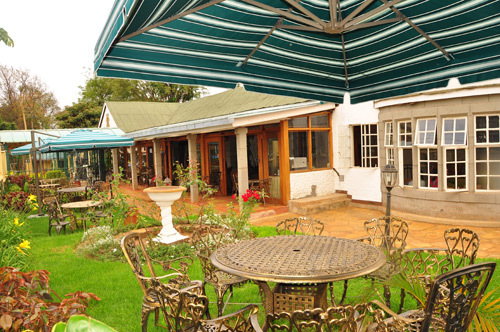 Affordable hotels for travelers within the town include Eland hotel, White Rhino hotel and the Westwood hotel. 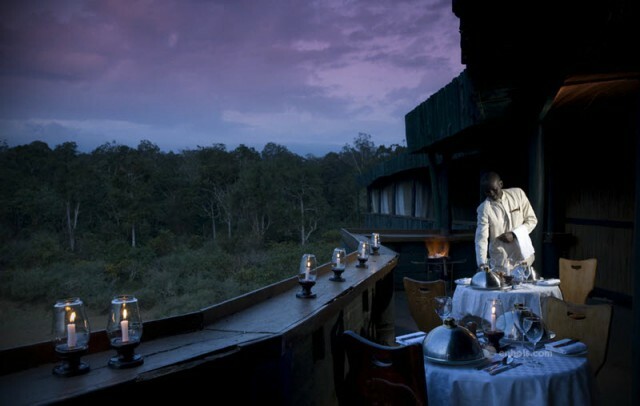 For those looking to reconnect with nature there are Eco lodges and tented camps in Nyeri. They are mostly located greater Mt. Kenya Region or inside the Aberdare National Park. They are usually luxurious tents with some having a mix of chalets and tented accommodation. The lodges specialize in outdoor activities such as horse riding, hiking, fishing, boating, game drives and most will have special arrangements/ entertainment for children. 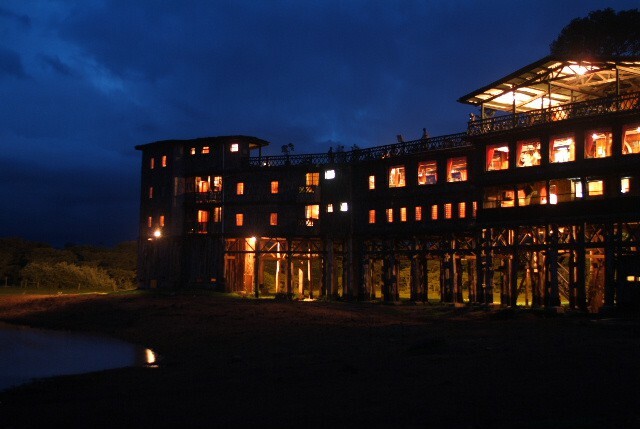 They include The Ark, Chaka Ranch, Tree tops Lodge and Serena Mountain Lodge. 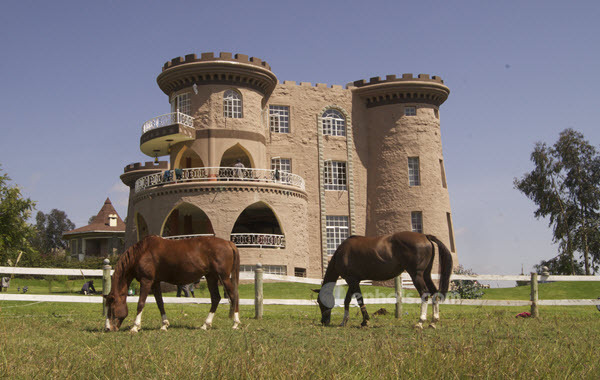 Tafaria Castle and the Giraffe Ark Lodge are fun filled for kids and young adults. They are both on the Nyeri-Nyahururu highway. They have swimming pools, quad bikes and horse riding. Giraffe ark has a life size chess board for the whole family to enjoy. 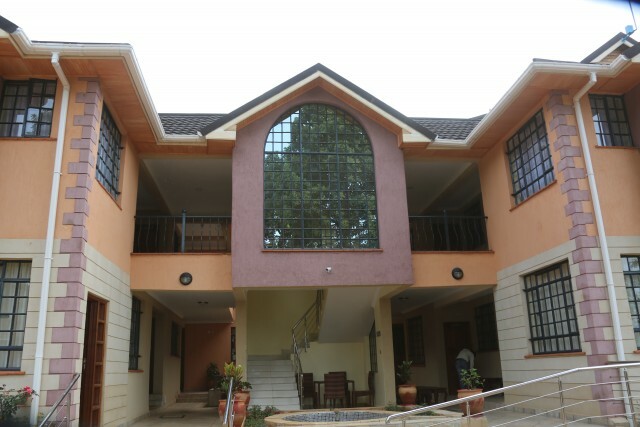 There several cottages and guest house in Nyeri town and its outskirts.They provide self catering options to families and group of friends. There is the Sangare farm house in Mweiga, Mpeta Guest House in King’ong’o area and Davis Court in the outskirt of Nyeri town. Due to the county being far from the hustle and bustle of Nairobi, Nyeri hotels are also popular conferencing destinations. Most offer standard conference venues and facilities. 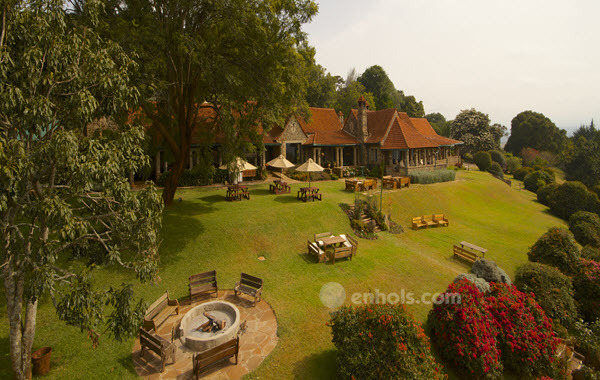 Some hotels in Nyeri also have grounds for team building or outdoor space for events. If you need to host a conference, training, banquette or a corporate event for large or small groups hotels to consider include Aberdare country club, Eland hotel, Outspan hotel among others. 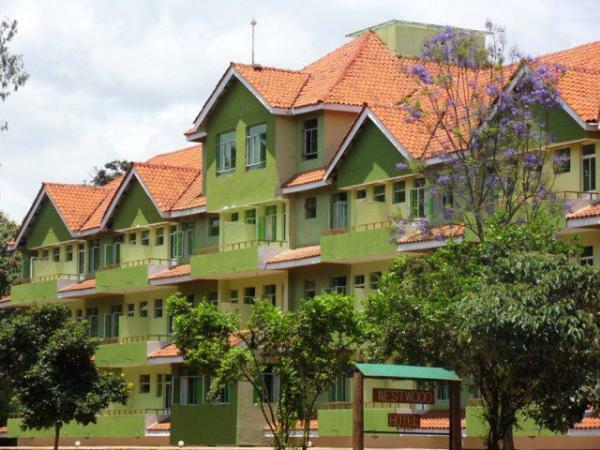 Results 1 - 12 of 15 for "Accommodation in Nyeri"
Nyeri is located in Central Kenya, about 150Km from Nairobi. It boasts fertile lands and extensively grows tea as a cash crop. Nyeri is somewhat between the Aberdare Ranges and Mt. Kenya, making it an important tourist destination. Many travelers come here to climb the Aberdare Ranges or visit the Aberdare National Park. A popular stop in the Aberdares is the magnificent Karuru Falls. Mt. Kenya National Park starts 20KM from Nyeri town and activities such as game drives, nature walks, cave explorations e.t.c can be done here. Nyeri is a popular destination for relaxation, business, entertainment, and educational/cultural tourism. The towns pubs and hotel accommodation offer lively entertainment, the farms in and around it offer pristine scenery, and the grave of the scouting Movement’s founder, Lord Baden-Powell and his paxtu cottage are popular attractions. Nyeri is the burial place of Lord Robert Baden-Powell, a fighter in the Boer War and the founder of the Scouting movement, who once wrote “the nearer to Nyeri the nearer to bliss”. He and his wife are buried in the town cemetery. Nyeri remains the home of the worldwide scouting movement with members of the scouting movement congregating in the town from time to time. Nyeri is also the burial place of the legendary hunter/conservationist Jim Corbett, the author of Maneaters of Kumaon (1944) who also spent his final years in Kenya. Located at Mathari, was built in honor of the fallen Italian soldiers and their African recruits from the Second World War. It is used not for regular worship, but only to celebrate a special mass on every 2 September in memory of the fallen soldiers. On the entire walling of the main church building are memorials for the many Italian servicemen who died during WWII. The most imposing landmark around Nyeri is Mount Kenya, and starting from about twenty kilometers out of town is the Mount Kenya National Park. The mountain has two main snow covered peaks – Batian (5200m) and Nelion (5188m). It is the highest mountain in the country and the second, after Mount Kilimanjaro, in Africa. Activities carried out in the park include game drives, nature walks, mountain climbing, wildlife viewing, and camping and cave exploration. About fifteen Kilometers out of town on the opposite side to Mt. Kenya is the Aberdare National Park. 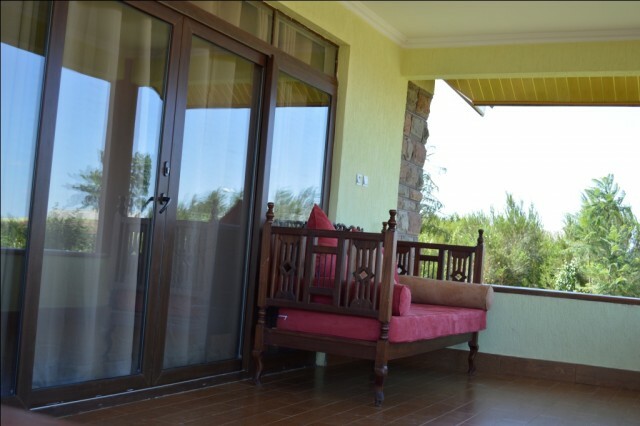 It offers views of Mount Kenya and the Great Rift Valley. Its unusual vegetation, rugged terrain, clear water streams and waterfalls create an area of great scenic beauty. Its major attractions include the Lesatima and Kinangop peaks many waterfalls, including the magnificent Karuru falls which drop 272 meters, and the Gura Falls – drops 305 meters. Activities include game drives and nature walks. 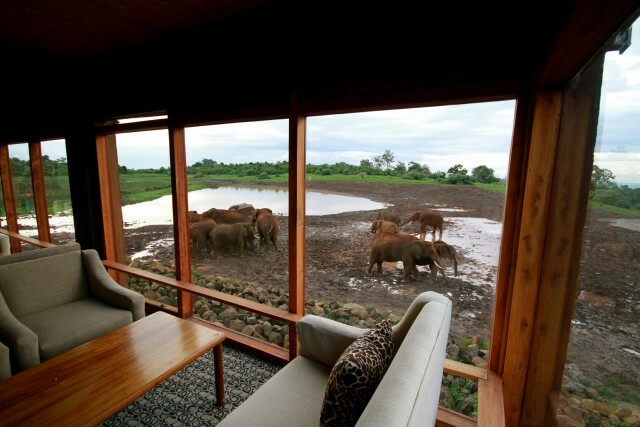 Within the Park, the Ark and the Treetops Lodges, which are located next to watering holes, offer close proximity night game viewing. The park is also known for the Kimathi hideouts, the Mau Mau Caves, and the Kimathi “post office” where agents used to drop messages for Mau Mau fighters during the guerrilla wars for Kenyan independence. 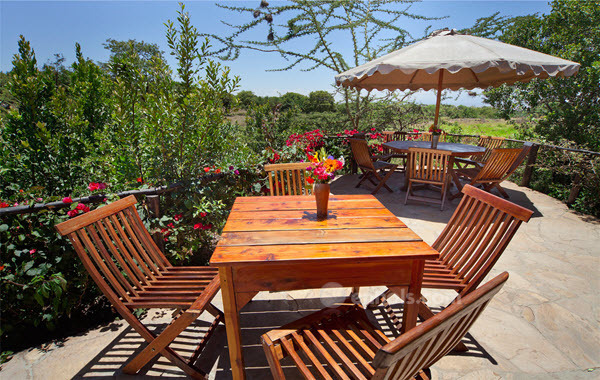 Close to the town are several privately owned ranches, many of which also serve as private wildlife sanctuaries like Solio Ranch and Lewa Wildlife Conservancy. Many higher-end tourists stay at these ranches, including celebrities such as Prince William of Wales and Bill Gates.